FIGS. 58-61. 58-59. Longitudinal section of spadix of Dracontium. 58. D. ulei K. Krause (Nee 31734), showing aerenchyma cells. 59. D. spruceanum (Zhu 1486), same as previous figure. 60. 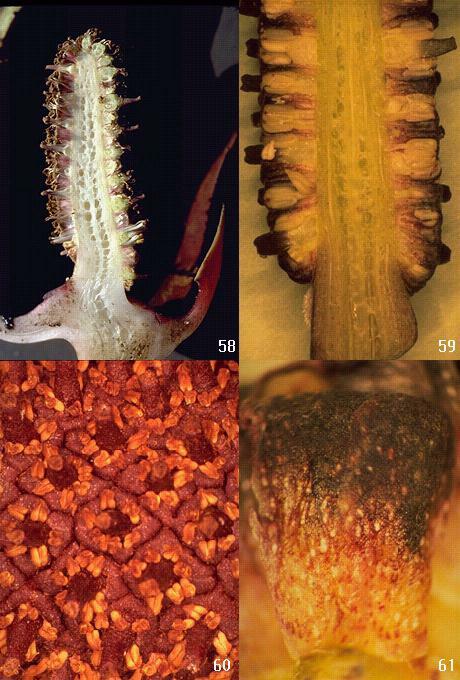 Flowers of Dracontium, D. plowmanii G. Zhu (Zhu 1447), showing ovary, tepals and stamens. 61. Tepal of Dracontium, D. spruceanum (Zhu 1486).